Turning Ryan’s assertion on its head, Foroohar says the purpose of her book is to correctly define who the real “takers” and “makers.” In Ryan and Mitt Romney’s world, the takers are those who pay no taxes and rely on federal benefits. The makers are the financiers who create the jobs and control the flow of capital. Foroohar says that in fact, the “makers” are doing the majority of the taking, pay less in taxes (e.g., Warren Buffett, Bill Clinton, Donald Trump), and rake in more in tax inversion benefits, stock option pay, debt-related tax breaks, and other financial benefits. Yet the Ryans and Romneys consider the “takers” the lower 90% of income earners. Foroohar is right in general. The real “takers” are the financial parasites who feed off what is left of the real economy, but they do not include all “rich people.” Entrepreneurs engaged in developing the physical manufacturing economy may be wealthy, but they are nevertheless productive. The output of their industry, be it steel or machine-tools, increases the real productivity of the economy. Wall Street sharks, private equity speculators, hedge fund managers, etc., produce no real wealth; hence they are the true takers. The real “makers” also include those portions of the general population engaged in generating real physical output that increases the productive capability of the nation. Because the nation has all but torn down its physical economy over the past 40 years, those jobs are a miniscule percentage of those available. Nevertheless, the mass of the work force, were the nation to proceed on a path to a true economic recovery, would be involved generating real wealth through manufacturing, construction, agriculture, research and development, or the necessary services to support those activities. Thus, its standard of living must be maintained, and all operations that steal pensions, cut wages, lower benefits, etc., are typical of “taking,” and must be halted. The result of this policy is that the United States is awash in debt–unproductive debt. In the first half of 2015, the U.S. had $81.7 trillion worth of financial assets (much of which are really debts) on the books, more than the combined debt of China, Japan, and the UK. Foroohar correctly concludes that this debt, mostly speculative, is destroying the real economy, deepening inequality, and leading to ever more financial crises. The purpose of her book is to present how this takeover and the consequent wreckage of the U.S. economy occurred. For Foroohar, Citibank is the poster child of the financial predators. She locates the passage of Glass-Steagall in 1933, the separation of commercial from investment banking, as the major obstacle blocking National City Bank (as it was known from the ‘30s to the ‘50s) and its allies from their gambling operations. Of course, they were gambling with depositors’ money. Grudgingly, National City abided by the constraints of Glass-Steagall, and was a relative model of conservative banking prior to the appointment of Walter Wriston as CEO. Wriston converted First National City Bank (its 1955 name) into a financial carnivore. He was always on the prowl for higher profits, rather than investing in long-term industry or research. Glass-Steagall was the ultimate in bank regulations, and Wriston sought to eliminate it. He pioneered the use of negotiable Certificates of Deposit to begin the assault on Glass-Steagall. In 1967, he introduced the first credit cards. His non-stop assault on regulations resulted in the thrift industry creating mutual funds to compete for money. Investment bank Salomon Brothers created mortgage-backed securities in the 1970s, and pioneered the use of derivative contracts. When it foundered, Salomon was bought by Citibank. Citibank pressed ahead. Under the leadership of John Reed at Citi, and his close friend Sanford Weill, head of Traveler’s Life Insurance, and Weill’s lieutenant Jamie Dimon at Travelers, they merged the two dissimilar entities (a merger banned by Glass-Steagall) and forced through legislation to repeal the remains of Glass-Steagall, in 1999. All the while, Citi and its allies at JP Morgan Chase, Bank of America, and the other implicitly Too Big To Fail banks were continually deregulating the system, opening the door to more lucrative, but complex investment items. Following the repeal of Glass-Steagall, these same bankers, led by Citi, forced through the passage of the Commodities Futures Modernization Act in 1999, which legalized all derivatives trading. Citi pioneered the use of Structured Investment Vehicles, which it had created in the 1990s, to move vast amounts of toxic debt off its balance sheets, and introduce “securitization” on a mass scale. Hundreds of trillions of dollars of debt were hypothecated as a result of their machinations. It was this debt that blew up in 2008. As the crash began in 2007, and continued into 2010, Citibank became the recipient of the biggest bailout in U.S. history. No, it was not the investment banks and hedge funds that blew apart first. It was Citibank and its friends in the commercial bank behemoths who had financed them that disintegrated. The Federal Reserve issued $16 trillion in very low interest loans to the Wall Street and European cartels to save them in 2009. But Citibank received over $2 trillion in below-market-rate Fed loans, over $300 billion in asset guarantees, and $45 billion in direct taxpayer bailouts over a several year period. Fed Chair Bernanke admitted that all but one of the giant Wall Street banks was bankrupt at the start of the meltdown, and Citi was the leader. By 2015, 15 percent of financial sector investment was going to real production of some sort, while the remaining 85% went to financial speculation. The assets of the five largest banks are now over 50% of all bank assets. Foroohar’s book is a comprehensive study of the various categories of speculative debt that have been generated over recent decades, to the point that they now dominate the economy. The author argues that the United States Tax Code promotes the issuance of useless debt. Not only is it too long (75,000 pages! ), but entirely slanted toward creation and servicing of debt for its own sake. “The American tax code rewards debt over equity, at both the corporate and consumer level, a structure that has contributed mightily to the rise of finance and the fall of American business.” (M&T, pp. 269-70) She asserts that the fact that companies and consumers are encouraged to borrow, not save, has vastly contributed to the financialization of the economy. Corporations also exploit the loopholes in the system to park much of their money outside the country to avoid paying taxes, as has been well documented. While long-term debt incurred for home ownership, not speculation or “flipping,” is useful, and should be encouraged, the massive proliferation of consumer debt which fed the entire subprime bubble and its vast securitization apparatus of the 2000s, was simply cancerous. The scheme is well portrayed in the movie and book The Big Short. The current “subprime auto” bubble is simply the latest version. Foroohar correctly cites the late 1970s, just after the high point of the real, productive economy had been reached, courtesy of the Kennedy Space Program, as the moment when the financial elites radically shifted the policy. The impulse toward deregulation, coinciding with the high inflation of the Vietnam War fiasco, led to a massive increase in consumer debt of all kinds. The population and the business community became heavily indebted, while bank fees for peddling the debt products skyrocketed. By 2005, fees from these various operations comprised over 50% of the revenue in the financial sector. Household debt as a percentage of disposable income hovers at near 100%, and corporate debt is at record highs. Little, if any, of the new debt is remotely productive. One result of the cancerous financial expansion was the destruction of what Foroohar labels the business sector. Due to her own business school background, she fails to distinguish between businesses that produce for what economist Lyndon LaRouche calls the physical economy, and enterprises (necessary or not) which simply produce money; she calls them all “business.” That said, her description of the take-down of the real economy is excellent. One of her strongest case studies is the destruction of the auto industry. She rips apart the role of Robert McNamara as the intellectual architect of the take-down of much of industry, not just auto. She traces out the caustic influence of McNamara from his days at Harvard Business School, to WWII, Vietnam, and finally at Ford Motors. McNamara brought the worst of accounting methods into economic policy. He was the ultimate number-cruncher, obsessed with statistics, whether the number of bombs dropped on Tokyo in WWII, the “body count” of mounting U.S. and other casualties in Vietnam, or in car manufacturing. He brought the theory of “financial efficiency,” not technological innovation, to American business. In 1942, while teaching accounting at Harvard Business School, he was recruited into the statistical analysis group in the War Department. Its job was to use quantitative methods to reorient the Defense Department. McNamara and his collaborators became known as the “Whiz Kids,” a misnomer if ever there was one; Vietnam ultimately showed the result. McNamara and his Whiz Kid cronies infected much of U.S. business after the war. McNamara headed up the finance department at Ford, and many of his allies came with him. His policy was simply budget-cutting in the name of shareholder value. Profits increased, share value increased, and so did the stock value of McNamara’s personal portfolio. 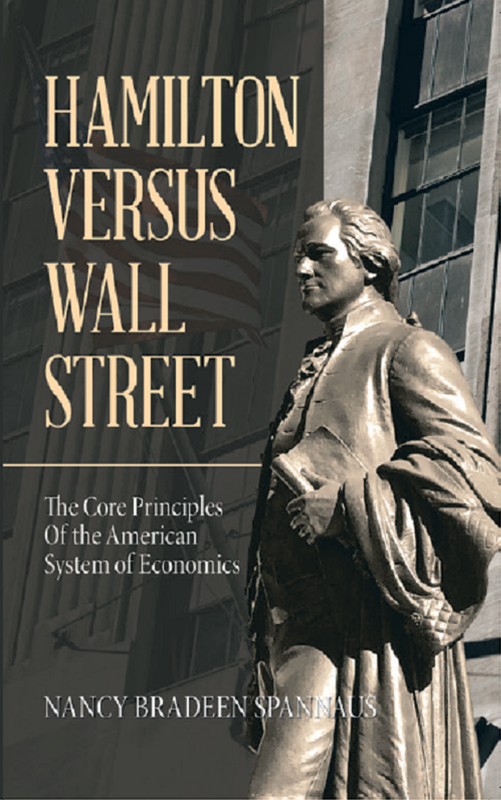 Foroohar exposes the role of the deregulation of the financial system from the early 1980s to the crash of 2008. While much of the material has been covered by others, she does correctly identify the takedown of the Glass-Steagall Act in 1999 as a turning point in unleashing the speculative avalanche that followed. She also traces the erosion of Glass-Steagall from the ‘80s onward, leading up to the passage of Gramm-Leach-Bliley. In taking aim at the corrosive role of derivatives trading practiced by the major Wall Street firms, she pinpoints Goldman Sachs and the banks that ran commodities trading and commodities purchasing. Goldman shamelessly cornered the market on large physical stocks of aluminum and other key raw materials, storing them, and betting on prices. She proves that Goldman has more power than the biggest companies such as Coca Cola. It was Goldman which determined Coke’s pricing through its positions in the aluminum industry (used in production of cans), and there was nothing the soft-drink giant could do about it. Things did not go better with Goldman. Charging Goldman with cornering the market on food stocks and manipulating the prices through derivatives trading, Foroohar indicts the company for murder. She does the same for Goldman’s partner-in-crime, Morgan Stanley. It should be cause for concern that the chairman of the President-elect’s new economic advisory board, The President’s Strategic and Policy Forum, is Blackstone founder and CEO Stephen Schwarzman. Commerce Secretary-designate Wilbur Ross is another private equity wheeler-dealer, owner of WL Ross LLC. Foroohar also makes the astounding revelation that one in 14 Americans is employed by a firm which is owned in part or in whole by a private equity firm! Even if you are not an employee, you could be involved in funding one since these firms’ major source of money is pension funds and mutual funds. The irony is not lost on the author: Many people are likely investing their savings in the very companies that are eliminating their jobs or cutting their salaries! How is Wall Street able to get away with financial murder? It helps if you own the government, especially the agencies that write the laws and adjudicate them. Foroohar attacks the seemingly all-powerful role of the Wall Street protection racket in the government. She singles out the reversal of the “swaps push out” rule in the 2014 Budget bill. One of the few useful provisions of Dodd-Frank was a provision prohibiting the government from protecting a significant group of commodity and other derivatives. Trillions of dollars of such swaps were “pushed out” from federal protection, i.e., taxpayer bailout, in the event of losses or defaults on such derivative contracts. A substantial amount of these derivatives was in the energy sectors. In late 2014, as the energy sector bubble was in the process of bursting, Citibank, the largest owner of commodity derivatives, deployed a team of “experts” to the Congressional office of Kansas Republican Kevin Yoder, a well-known gofer for the Wall Street banks. Yoder inserted a 70-line amendment to the bill which allowed those categories of derivatives in the “push out” to be moved back onto the books of the federally insured subsidiaries of the bank holding companies. Thus, the liabilities were put directly on the backs of the taxpayers. This was no easy sell. When word got out, all hell broke loose in Congress, and a full-scale mobilization in both Houses nearly overturned the Wall Street-crafted provision. The banksters had spared no effort to get their bill passed. The key banks involved—Bank of America, Citigroup, Goldman Sachs, and J.P. Morgan Chase—spent $30.7 million lobbying Congress just to pass that provision. They also deployed everyone from President Obama to JP Morgan Chase President Jamie Dimon, to man the phones and personally lobby Congress to pass it. Even with that level of firepower, the bill barely was voted up. During that same 2013-14 election cycle, the financial industry spent nearly $500 million on Congressional campaigns–more than twice the amount as any other single industry. This has been the case for decades. In 1999, the big banks spent $187 million just to repeal Glass-Steagall and pass Gramm-Leach-Bliley. Then the bank syndicate spent an additional $200 million to elect a Congress that would “go along to get along” as deregulation kicked in. Not only does Wall Street open the money spigot to buy a pliant Congress, they also deploy manpower into key sections of the government, to make sure that their investments pan out. Key members of Congress are in the hip pocket of the Street, as are top people in the Treasury Department, Securities and Exchange Commission, Federal Reserve, and Justice Department, which have become nothing but “revolving doors” for the Wall Street-to-Government-and-back-again route. There is historic precedent to guide the nation today, which unfortunately is not referenced in Ms. Foroohar’s otherwise extremely useful book. The American System of Alexander Hamilton, Abraham Lincoln, and others pursued a dirigist economic policy, while promoting a classical culture for the nation. As Hamilton stated eloquently in his Report on Manufactures, the creative powers of mind were to be developed and cherished. When the nation followed Hamiltonian precepts, as implemented by Washington, John Quincy Adams, Abraham Lincoln, and Franklin Roosevelt, the results were magnificent. The United States became the leading industrial power and practitioner of scientific advancement on the planet, until it abandoned that outlook over the last two generations. The real Makers are the scientists, engineers, and skilled laborers, who forge the industrial economy that uplifts the physical well-being of everyone. Whenever the nation had a mission, be it Lincoln’s Transcontinental Railroad, FDR’s New Deal, or the Kennedy space program, it brought out the best in everyone, and uplifted the entire country. That is what is sorely lacking today. Our country has always been under assault by the aristocratic, financial elites, typified by the City of London and Wall Street circles. These parasites are the Takers. Their policy has been to degrade the industrial and creative capability of nations, especially our own, and to reduce once-proud countries to a state of penury and servitude. In Makers and Takers, Foroohar documents this process whereby these forces have all but destroyed our nation. We must now avail ourselves of the model of economic development promulgated by Hamilton, Lincoln, and Franklin Roosevelt. The most efficient way to implement that policy is to enact the Four Laws of economic recovery issued by Executive Intelligence Review Founding Editor Lyndon LaRouche, which echo and elaborate the Reports to Congress of Alexander Hamilton. This program is the necessary road-map to rescue our nation and others and to launch a great economic rebirth in the tradition of Hamilton and his co-thinkers.